How to Boost Employee Support for Nonprofit Fundraising reveals that, although employees can be tremendous supporters of nonprofit fundraisers, managers have to navigate some subtle waters to engage employees. The key to “engagement” is making it voluntary and meaningful to employees as people. I say this because many organizations expect support, but expectation diminishes the voluntary requirement. When management harbors the attitude that employees owe them to promote the fundraiser, this will backfire. 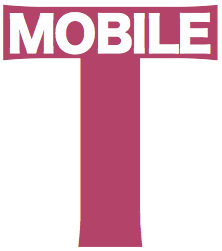 Here’s my response to a situation in the Nonprofit Technology Network forums. A web/social media specialist for family services nonprofit sought advice for increasing employee participation in their annual fundraiser. Most of the responses explained how to use email signatures (someone even suggested appending promotional text to employees’ email signatures globally!). Someone else suggested gift certificates. I took a different tack. The Potential of Female Leadership explores what lessons we may learn from bonobos’ matriarchal social structure, so we can build stronger, more collaborative human communities and groups. Bonobo Handshake is an enthralling insightful book, which I review here. A tremendous bonus is its similarities to and significant differences from Chimpanzee Politics (reviewed yesterday). Bonobo Handshake was on the same library shelf as Chimpanzee Politics, but it is a very different book, and in delightful ways. At the same time, it offers intriguing insight into bonobos’ behavior, which differs significantly from chimpanzees’ and holds interesting lessons for human societies and groups. 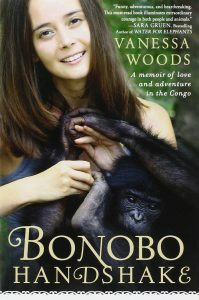 Although Woods is not a primatologist per se, she has conducted extensive research with her husband, who is, so explaining scientific experiments forms a key part of this book. 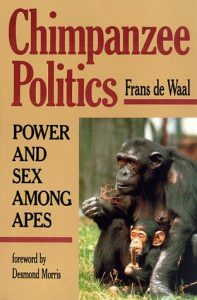 Unique, Insightful and Useful Guide to Business and Civil Politics reveals human political strategies through the eyes of a primatologist studying a chimpanzee community. It lays bare most of the behavior people use “to get ahead” in business and politics by explaining the evolutionary underpinnings of these behaviors, so we can appreciate them at a new level. Have you ever heard someone say, “I’m not political!”? S/He may mean well, but this book shows that one cannot be human without being “political”; moreover, it explains political behavior in hilarious, poignant ways that help the reader in multiple ways as I detail here. It is immensely entertaining to read while being scientific in its assertions. Employee engagement and experiential social media shares my insights into one of the biggest challenges faced by business today—the employee engagement crisis, and how firms can change the game. Fewer than a quarter of employees are engaged, a slightly smaller quarter are “actively disengaged,” and the majority is blasé and punches the clock. If you’d like to watch this post instead of reading it, click the thumbnail button. In Healing Business, I’ll share why I think business needs healing and how CSRA is doing it with experiential social media. Business is wounded from a human point of view because it’s become very impersonal; large organizations don’t mean to, but they treat employees and customers as numbers because they don’t know or trust them. Experiential is a practical way to change that. If you’d like to watch this post instead of reading it, click the thumbnail button! On human experience invites you to examine common marketing practices from a human experience perspective. It expands part of a presentation I gave at the University of Chicago Booth that the audience experienced as mind-bending based on their facial expressions. Quite by accident I’ve happened on a rare view of humanity while practicing experiential social media during the last ten years. Experiential’s core research process involves conducting ethnographic research of thousands of people in specific situations. I analyze human behavior in communities in digital public, and it’s very rich, nuanced and complex. 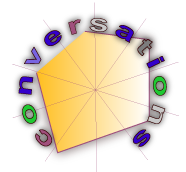 Ethnographic yields unparalleled qualitative and quantitative insights into behavior and human experience. Experiential consistently reveals that many marketing practices repel people rather than attracting them because the environment in which marketing is practiced has completely changed from when these practices developed. Marketing creates mistrust and pushes people away, as I’ll show below. This post attempts to reveal this anachronism to you, so you can correct your practices and take the advantage from your competitors. [Updated] Many businesses live in fear, and how to break free reveals how fear and risk can be sharply reduced by increasing trust among employees, customers and partners. 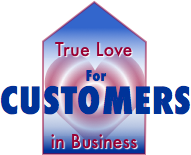 I have learned many surprising things while practicing experiential social media, but one of the most astounding is the realization that most business practices, especially those that concern people, are grounded in fear and mistrust. This ties businesses in knots, but few people realize it because it’s accepted as normal. This post aims to open your eyes, so you can start noticing how fear and mistrust operate in your firm. 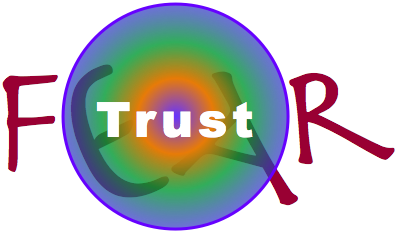 Then I’ll offer numerous ideas that can help you to reduce fear and risk by increasing trust.